I am a sucker for clearance items, this is a fact. Even if I have all that I need, something about that little red sticker gets me every time. It's like a sign that the item has been waiting for me! All of the other shoppers have passed it over, haven't seen it's value, and then I come along! I see the steal that it is, and I must have it! 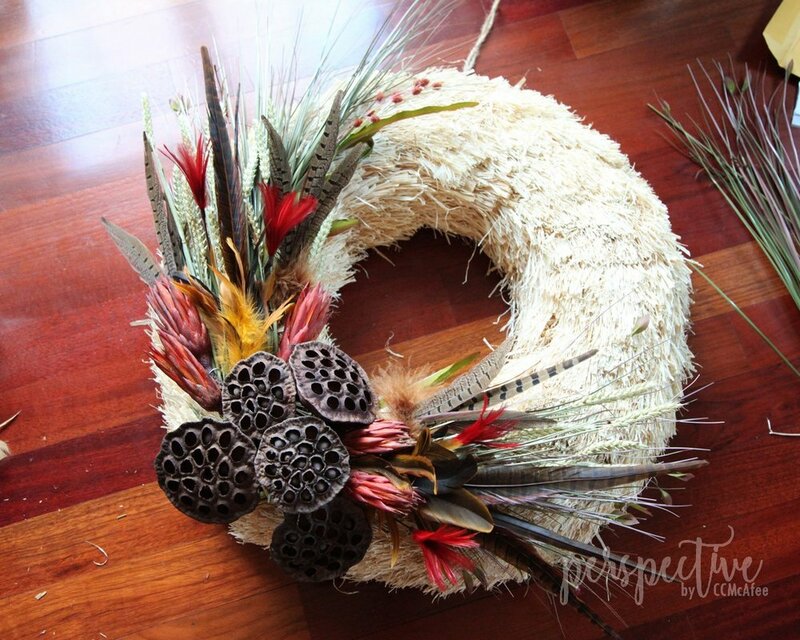 This plain ol' straw wreath was one of those items. I saw the red sticker, and I saw the possibility of what this plain ol' thing could be. So, I brought it home with me, after paying for it, of course. 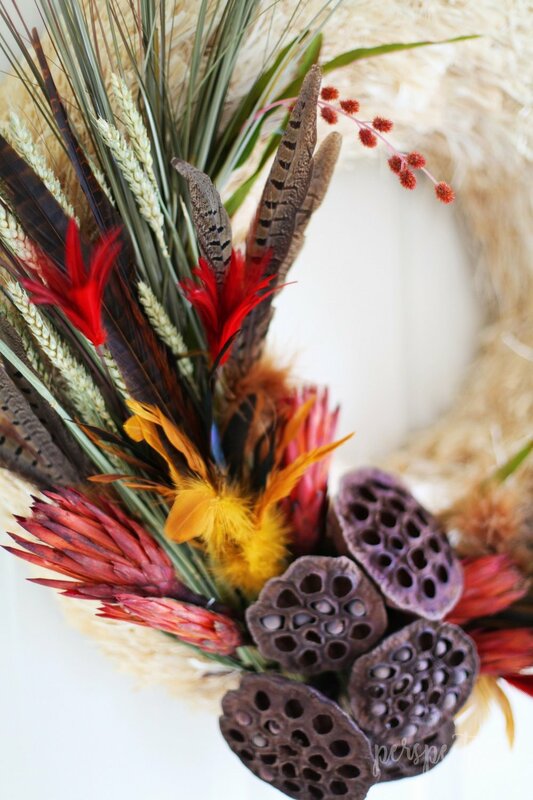 I have a lot of flowery fall wreaths. I wanted to make something different. 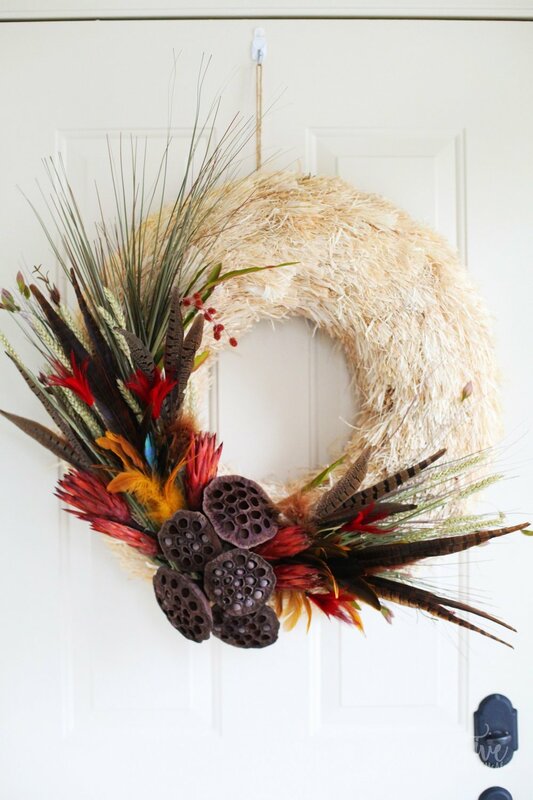 I took my cue from the base and decided to make a naturals fall wreath. 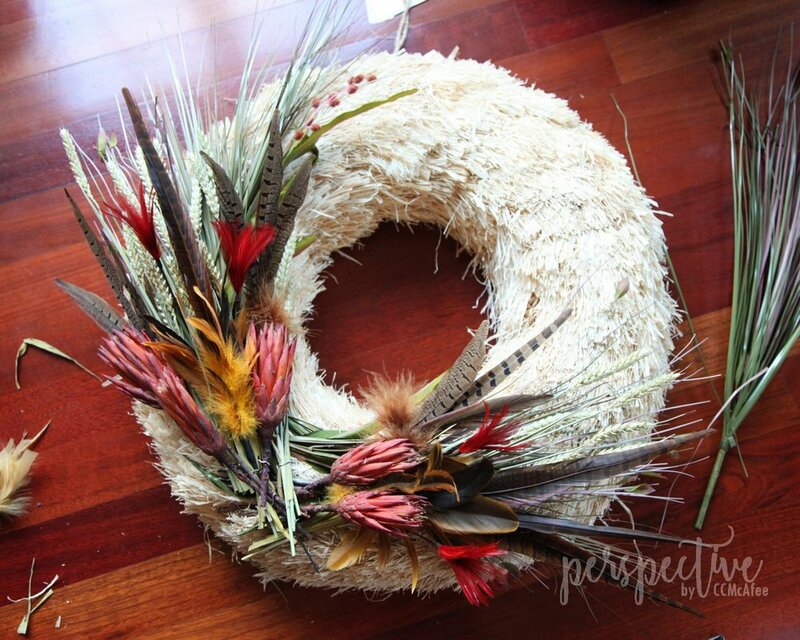 You know, dried flowers and grasses, bird feathers, that type of material. 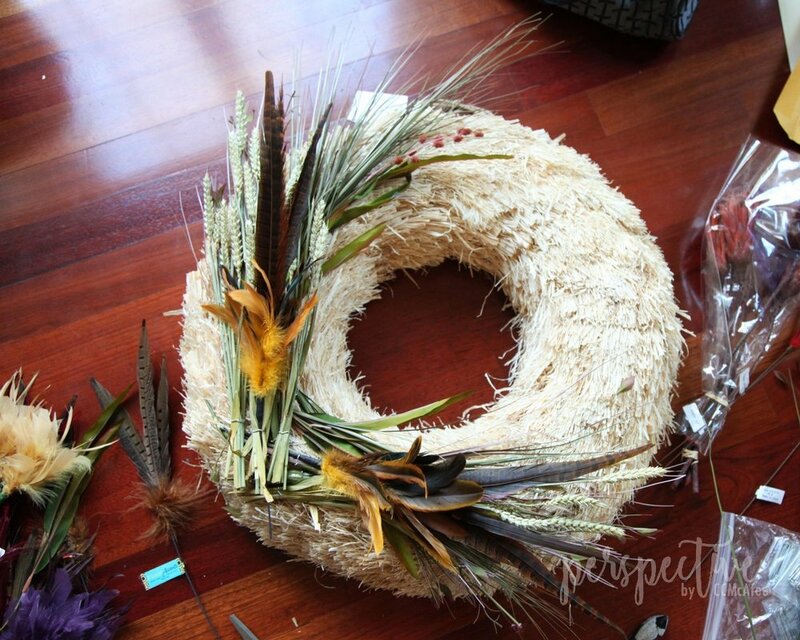 Here are photos of me building my wreath. The base of this is foam and straw, so I used U pins to attach all of the items. You can see them if you look close. 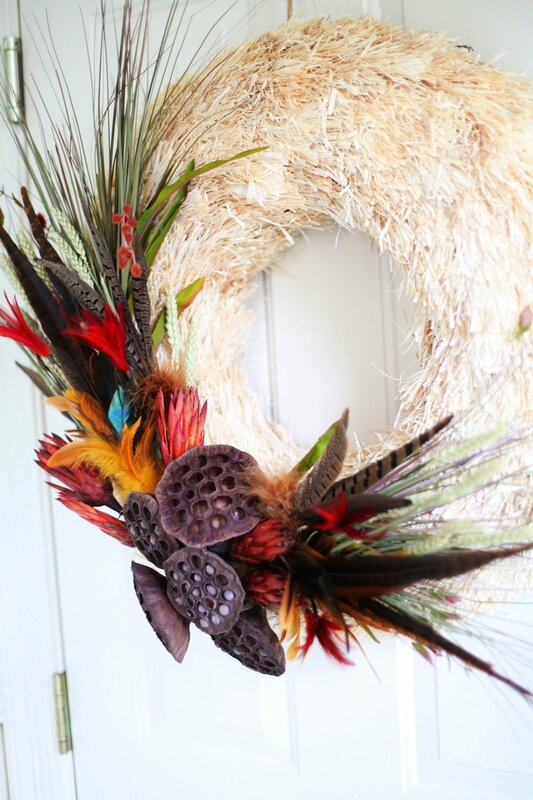 Love not using a hot glue gun if I don't have to! I started with the longest items, the grasses, then added the wheat and feathers, allowing each new item to be shorter from the center. It's backwards layering! 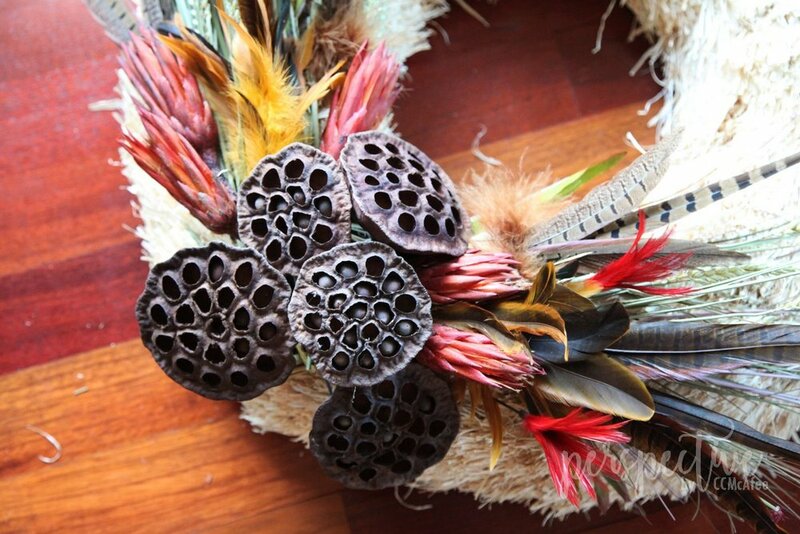 My last items were these prikle flowers then the brown things. Do you like that I don't know what any of these things are called? Sorry! I just focused on covering the empty center part and layering these items so there is some depth and variety. Here is how it looks hanging up.